“I may need to have all furniture from a one bedroom apartment removed. This includes: living room sofa and chair, kitchen table and chairs, bedroom bed and side tables. I would like this to be taken to either donation or disposal site. 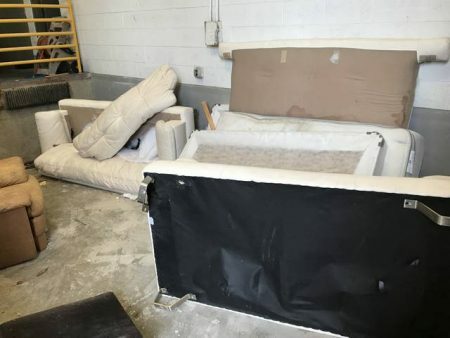 The furniture is in decent shape, so could likely be donated.” – Washington, D.C. Junk or old stuff to get rid of? We make it easy! Fill out a quick form…and we will make your junk disappear. Could it be any easier? Or, give us a call. We’ll be happy to hear from you, and give you a fair price to haul your stuff. 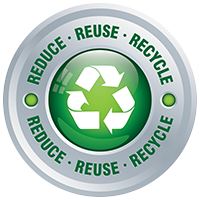 Certified employees, up-front pricing, recycling and donations. We aim to please! We cleared out a wooden pallet, cardboard material, a sink, and other items from this building in Bethesda, MD. Mack Hauling works with homeowners, property managers, realtors, remodeling contractors, residential and commercial developers, and whoever else is looking for reliable item/material removal. Did you know that we provide light demolition to homeowners and business owners? This includes shed, small barn, and out building demolitions. Afterwards, we’ll remove the debris. 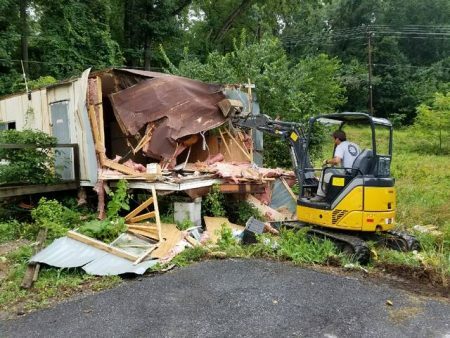 Let us take care of your unwanted shed in Bethesda, MD or your local area. 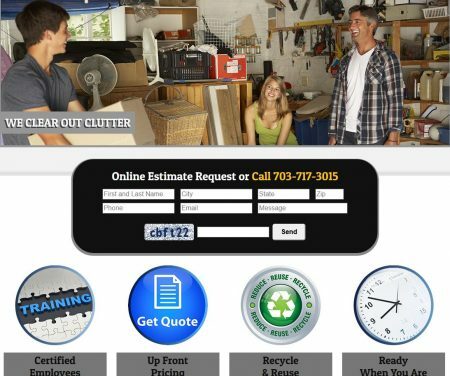 With the constant hustle and bustle around Washington DC, we understand that it’s difficult to make time to clear out clutter and unused items in your home. Let us help you with this task! 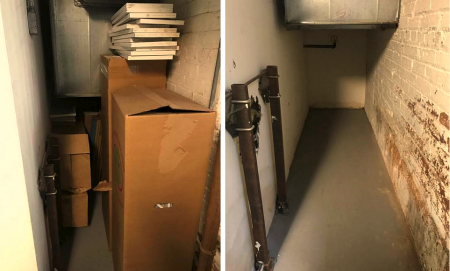 Call Mack Hauling and we’ll clear out any space for you and do it in a timely fashion, like we did for this space in Georgetown. Don’t let old furniture collect dust and take up all of your storage space! After hauling everything out, we will sort which pieces are still usable and donate them to charity. 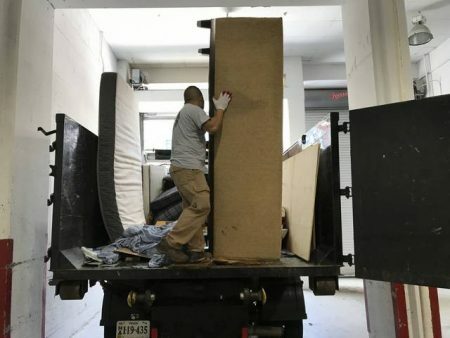 We’ll remove your unwanted items in Crystal City, VA or any other parts of the DC Metro area. Old carpet can present many problems to a room. It absorbs odors, debris, and harmful contaminants. 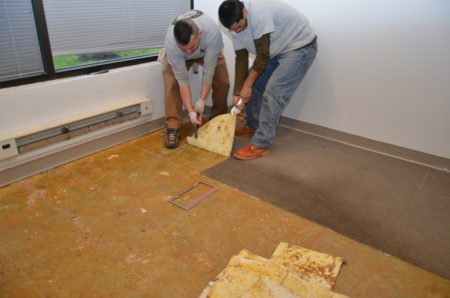 Carpet removal can be difficult if you don’t have the right tools and experience, and disposing of it can be a handful, as well. Call us today and we’ll remove and haul your old carpet for you! We service Alexandria, VA and the DC Metro area. Sometimes you don’t have the time, the truck or the hands to get rid of large pieces of furniture. We’ll get the job done as quickly as we can and donate any items that are still in good condition.